Our schools should be filled with joy and happiness. That is not always the case with the burdens of mandates, accountability and pressures from all directions. However, it doesn't hurt to try and bring some happiness and joy in the midst of all the pressures. Most of the time this is achieved by our attitude. A positive attitude will bring positive outcomes. 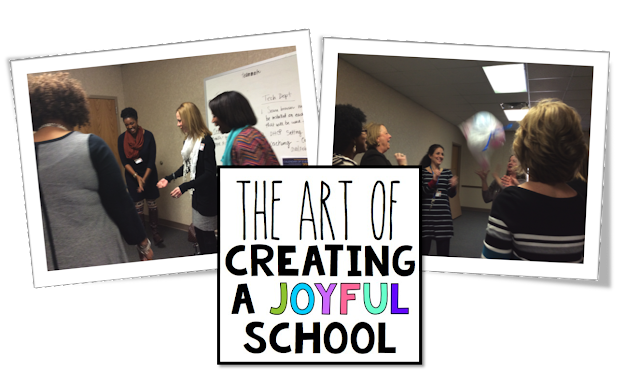 The Art of Creating a Joyful School is the topic for today. I hope to give you a glimpse of how to create a little activity with your staff that helps them evaluate their attitude. 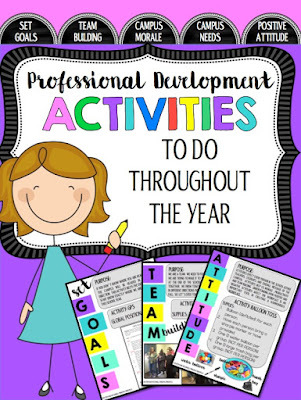 It's called the Balloon Toss and it's found in my Professional Development to do Throughout the Year packet. Let's take a look at it below. Directions are inside the packet. I began by talking about a good teammate. "What are the qualities of a good teammate?" The group had a balloon and a marker and began to write these qualities on the balloons. We put the balloons in the trash bag and tossed it around in the air. Next, I gave each group 1 water balloon. I had them share the balloon and write qualities of a negative teammate. They put this one balloon in the bag with all of the "positive balloons." They sealed the bag and tossed it around. I'm not going to spoil the ending. You must see what happens with your own eyes when you add the water balloon to the bag. When our teachers are tightly-bonded and motivated, they are armed with energy and can just about conquer anything that comes their way. Teaching is a challenge even in the best situations and circumstances. Unmotivated, unhappy teachers are least likely to be effective. Happiness brings success. I'm not saying just because you are smiling and bubbly you will be effective. I'm saying...If you are passionate and love what you do each day, you will most likely do whatever it takes to bring success. If you don't love your job, it will show in your performance. Morale boosters need to be a number one priority. It doesn't hurt to boost morale every month. But this time of the year it is especially needed. Everyone feels the pressure. We feel the anxiety. We are pushed to our limits. Why is this so important? We want our classrooms, school and district to be filled with happy children who love coming to school. Happy students are better learners. That's the bottomline. The teacher's attitude toward teaching and toward his/her students play a big impact on student achievement. 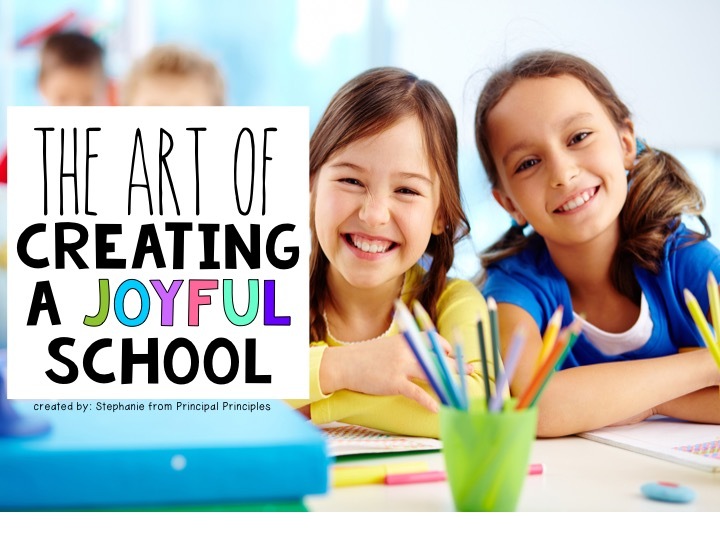 The Art of Creating a Joyful School begins with a positive school culture and positive attitudes.